Erin Burnett interviewing Sam Nunberg on March 6. Journalists must know when to move discussions off air. Sam Nunberg, a former Trump campaign aide, granted many interviews to journalists Monday that produced several accusations and conflicting statements. 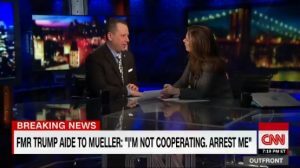 Some interviews with Nunberg were conducted live on television, including one in which CNN’s Erin Burnett said she smelled alcohol on his breath. Nunberg said he was not drinking. Nunberg’s exchanges throughout the day ignited questions on social media about the ethics of journalists interviewing people who are acting erratic or possibly under the influence of alcohol or drugs. Like most questions about ethics, the answer is complicated and must account for several factors. Some of those basic factors include – but are not limited to – a person’s experience with media, the topic of the story, the person’s role in the story and the person’s age. Thinking more broadly, journalists must also consider whether the information being provided by the person is accurate and how it affects people at home reading the newspaper, watching television, listening to the radio or interacting with the news online. In most cases, these factors would lead journalists to forgo interviewing people for person-on-the-street columns or about local news events like fires and robberies. The story Nunberg is involved in is not routine, however. He is also not a random person on the street. Nunberg reportedly has experience dealing with the media. He worked – at one point – for the future president and is now involved in an investigation into accusations that could have very serious consequences. There is no question that his words are newsworthy. Journalists should not be chastised for speaking with Nunberg, but that does not mean each of his statements and accusations should be printed or broadcast. By the time he arrived on air with CNN’s Burnett, Nunberg already claimed a former Trump advisor colluded with Russia and criticized the appearance of the president’s press secretary. Burnett said she smelled alcohol on Nunberg’s breath, which he denied. Also, the seriousness of the investigation at the heart of the interview cannot be overstated. The combination of these factors suggests it may have been best and more responsible to tape an interview with Nunberg instead of airing it on live television. The decision would give journalists, editors and producers more time to evaluate the accusations he made during the interview. They could also put his statements into context. To be fair, the same could be said for many other interviews when questions about alcohol and mental health don’t arise. The bottom line is that a journalist’s primary obligation is to present the truth as they know it right now and minimize harm in its pursuit. A journalist should ask if they are leaving their readers, viewers or listeners with the most accurate information without causing unnecessary harm. In many cases – including this one, I think journalists can do better. Andrew M. Seaman is the chair of the Society of Professional Journalists’ ethics committee. 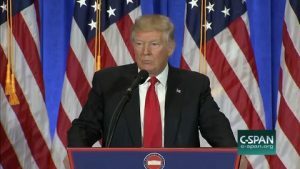 Screen capture of President-elect Donald Trump’s first press conference since winning the November 8 elections – as viewed from CSPAN. “Why are we having all these people from shithole countries come here?,” President Donald Trump reportedly asked Thursday at a White House meeting discussing immigration policies and protections for people from Haiti, El Salvador and the African continent. The president’s remark made news organizations around the world decide how to handle words that are viewed by many as offensive. In this case, news organizations needed to engage with their audiences on how they would print or broadcast the word. In their reporting of the meeting and the president’s remark, ABC and CBS did not utter the word on air, while NBC did, prefaced by a warning from anchor Lester Holt. NPR initially didn’t use the word but then changed its mind, and had its standards and practices editor, Mark Memmott, on Friday’s All Things Considered to discuss why. The Pittsburgh Post-Gazette’s publisher asked journalists there to remove the language from the AP lede. No explanation was immediately available. Our publisher is requesting us to remove @realDonaldTrump‘s “vulgar language” from the lede in our @AP story about his vulgar language. The utterance of that word was an element necessary to reporting the story because it was said by the president. SPJ’s Code of Ethics encourages journalists to seek truth and report it, but they must also minimize harm. It’s also essential that news organizations explain their actions as to why they did or did not use the word – as part of the call to be accountable and transparent. While many news organizations were upfront as to how they were treating the language, some, like The Pittsburgh Post-Gazette, were not, and owe their readers an explanation as to why the language was removed. If this occasion has any lessons, let it be this – honesty always is the best policy. The more transparent a journalist is, the more credible they are. In this age of information, credibility is essential, and the act of transparency is something news organizations must keep in mind in their pursuit of the truth. Alex Veeneman is a freelance journalist in Minneapolis, and a member of SPJ’s Ethics and FOI Committees. You can interact with him on Twitter @alex_veeneman. The views expressed unless otherwise specified are that of the author’s, and do not necessarily reflect the views of the Committee, the board and staff of the Society of Professional Journalists, nor its members. Minnesota Public Radio should follow the lead of other news organizations in dealing with harassment allegations. 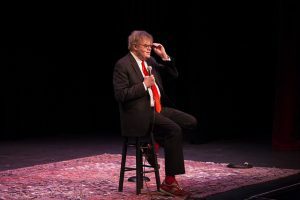 Keillor announced his own departure and communicated with journalists from a number of news organizations. MPR management has not granted interview requests from its own journalists, however. A program director for MPR say they’ll keep looking for answers. While the news organization should be commended for allowing its journalists to report the story like any other without fear of repercussions, the Society of Professional Journalists’ Code of Ethics says journalists should be accountable and transparent and “abide by the same high standards they expect of others.”MPR and its parent company should be held to this standard, too. Transparency is not unheard of in these types of situations. Similar work has been done at NPR, where Mary Louise Kelly interviewed CEO Jarl Mohn about the firing of former news chief Michael Oreskes. Angie Andresen, MPR’s spokesperson, told MPR News that the organization’s commitments to transparency and confidentiality are often in conflict, and acknowledged the frustration that was felt. I reached out to Andresen for clarity on the policy and its relationship with the station’s journalism, but did not hear back prior to publication. The news of Keillor’s firing came hours after NBC News fired Matt Lauer, the longtime co-host of Today because of allegations of sexual harassment. NBC said at the time that it was committed to being as transparent about the issue as possible. Though it is a difficult subject, and confidentiality must be honored, MPR should make the same commitment as NBC. They owe that transparency to their listeners. They also owe that same respect to their journalists, who helped make MPR known for honoring the principles of SPJ’s Code of Ethics. Alex Veeneman is a freelance journalist in Minneapolis and a member of SPJ’s Ethics and FOI Committees. You can interact with him on Twitter @alex_veeneman. The views expressed are that of the author’s and do not necessarily reflect the views of the Committee, the board and staff of the Society of Professional Journalists, or its members. An editorial misstep by an ABC News journalist led to a series of fumbles for the network. ABC News made repeated attempts to squash an uproar that erupted Friday after one of its journalists reported incorrect information about Michael Flynn’s plea deal with federal investigators. Instead, the network made misstep after misstep after misstep. The first misstep occurred when Brian Ross, the network’s famed investigative journalist, reported incorrect information. The second misstep happened when ABC News issued a “clarification” in an attempt to shift blame and walk back the incorrect report. The network misstepped again when it suspended Ross for four weeks without explaining how it would prevent such mistakes in the future. While serious, these missteps are unfortunately not a rare or unique occurrence. Print, broadcast and digital news organizations often fumble their responses after mistakes. The issue usually arises when an organization decides to cover their tracks and downplay its error. Unfortunately for Ross, his mistake occurred on one of the most important news stories of the year. As a result, his error ricocheted around the world. CNN reports that the Dow dropped soon after Ross’s report and an ABC News post with the information was passed on by tens of thousands of Twitter users. A viral video shows Joy Behar reading Ross’s report to her audience during a live taping of The View. Other organizations – like The Daily Beast – also picked up the report. The editorial worth of a news organization should be judged on how it handles its mistakes. In this case, ABC News should have done all in its power to correct the misinformation by immediately and repeatedly correcting the information online. The network should have also made it completely clear on air that their previous report was incorrect. Instead, they offered a “clarification” on Twitter and World News Tonight With David Muir. After more than a day of negative attention, ABC News released a statement on Saturday afternoon apologizing for the error and announcing Ross’s suspension. The apology was repeated on the evening edition of World News Tonight. The suspension of a senior and well-known journalist is a dramatic attempt at atonement, but it’s lackluster when a person considers that blame is shared throughout the news organization. An ideal statement would include an explanation of how the mistake made it to air. If editorial processes weren’t followed, what happened? Most importantly, the public deserves to know what steps ABC News is taking to make sure a similar mistake won’t happen during another breaking news report. Suspending Ross likely won’t fix the systemic problem that allowed the mistake to happen in the first place. News organizations can no longer be allowed to botch their corrections and shift blame. Print, broadcast and digital outlets need to step up and admit their mistakes. They must also explain how editorial processes were changed to prevent future mistakes. 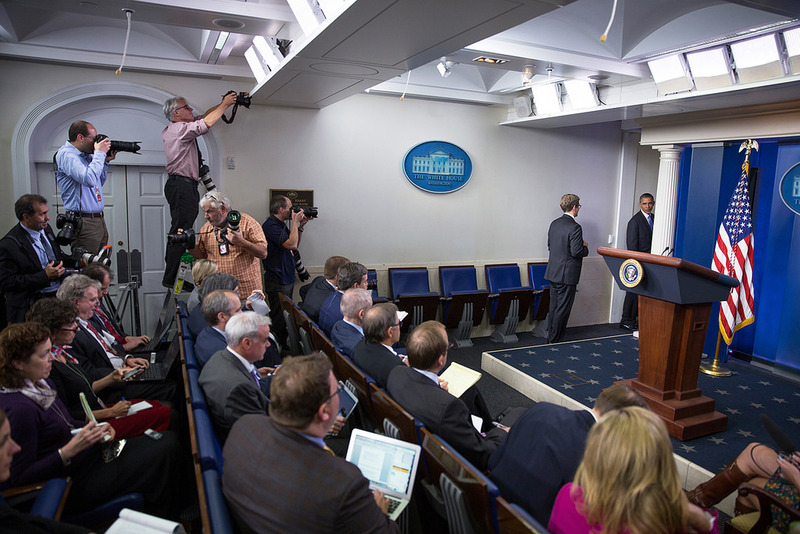 In an age when the amount of trust in the press is historically low and the White House stokes the flames of misinformation, journalists and news organizations must hold themselves and each other to a higher standard. Hurricane Harvey last week devastated parts of the Gulf Coast of the United States. The storm and its aftermath also led to a discussion on social media about how to best report from areas in the middle of natural or man-made disasters. 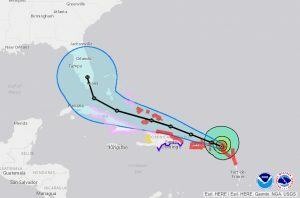 As the United States faces another potentially deadly hurricane, it’s important to revisit the role of journalists during such complex and emergency situations. One question often posed to the Society of Professional Journalists during and after disasters is whether the ethics of journalism are different in emergencies, for example. The answer is no. SPJ’s Code of Ethics is written broadly so it can be applied to all media and all situations. Journalists – especially during emergencies and breaking news – should keep its tenets in mind. Journalists must also expect and prepare for criticism while covering emergencies. Journalism often looks opportunistic and vulture-like during disasters. Television and radio journalists are especially susceptible to being perceived as exploitive since the emotions of victims are much more apparent and palpable. Journalists should be especially careful when selecting people to interview on-air during traumatic events. People should not be put in front of cameras or microphones during such events unless they want to tell their stories. Some people will want to speak about their experience as – almost – a form of therapy. Other people may not be ready to share, and that’s okay. The SPJ Code of Ethics says journalists should be especially sensitive to people not used to dealing with the press. Pre-interviews or brief discussions off camera can go a long way to preparing people to tell their stories. If after those conversations a person is still unsure whether to share their experience, a journalist should feel empowered to decide not to move ahead with the interview for the sake of the source and the people watching or listening to the report. Even the best planning may not offer complete protection against offending a person, however. CNN’s Rosa Flores on-air interview with a mother during Hurricane Harvey took a turn for the worst despite taking precautions. Journalists must also be especially mindful during emergencies about the comments or reports they publish on social media. A post on Twitter may lack important context due to length restrictions and result in misinterpretation. If cell service or internet access is compromised, journalists may be unable to clear up questions or concerns in a timely manner. ABC News’ Tom Llamas ignited a firestorm on social media during Hurricane Harvey when he published a post on Twitter saying his team informed police of nearby looting at a grocery store. He later clarified that they mentioned the looting while discussing the discovery of a body with the police. Of course, journalists are human and will make mistakes while reporting these and any stories. They and their news organizations must work to quickly correct any incorrect information and clear up any confusion. More than ever, people cling to information on social media and it’s important to give them the most accurate picture of what’s happening on the ground. What’s most important is that journalists not forget the service they provide during emergencies and disasters. People – near and far – want to know what’s happening. Journalists put their safety and health on the line by charging into these situations to bring that information back to people. Those images lead people to call charities or take to social media asking about ways to help. Those reports result in people calling their lawmakers and telling them to act. Journalists serve a purpose in these situations. Andrew M. Seaman is the chair of the Society of Professional Journalists‘ ethics committee. Screenshot of President Donald Trump’s Twitter message. Post updated Monday July 5 to include CNN’s statement. CNN announced an unusual anonymity agreement with a source Sunday. 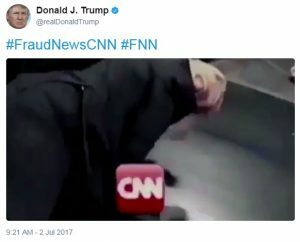 After tracking down the source of a video posted on Twitter by President Donald Trump, CNN said it agreed to keep the person’s identity a secret since he is a private citizen, showed remorse for his online activities, removed his online posts and promised not to repeat his past behavior. “CNN reserves the right to publish his identity should any of that change,” according to the story reported by Andrew Kaczynski. CNN’s Oliver Darcy posted a statement from the news organization Monday on his Twitter account about the matter. Journalists and news organizations offer sources anonymity for various reasons, but the specifics of CNN’s agreements with its source makes it unusual. Specifically, what would CNN do if the source breaks the agreement by once again becoming an online bully? Would CNN specifically write a story about the person breaking the agreement? Would it retroactively add his name to Sunday’s story? Journalists should support the open and civil exchange of views, but their role is debatable when they try to police good conduct on other platforms. Additionally, where would these types of agreements with sources end? Would journalists agree not to identify a thief because he or she promised never to steal again? In general, concealing the identity of this specific source would not go against the spirit of the Society of Professional Journalists’ Code of Ethics. In the case of CNN’s source, he appears to be a private individual who made offensive posts online that somehow made their way to the Presidents of the United States. He’s apparently sorry for his actions. Little is gained by identifying the person. The key is getting information explaining how such a post made it from an online forum to the President of the United States. All of those goals can be accomplished without CNN turning into an online version of Emily Post. CNN’s agreement with its source should not be interpreted as blackmail, however. Anonymity agreements between journalists and sources should be detailed and often include qualifying statements. The specific qualifying statement in this agreement is not something that should be common practice, though. Of course, CNN needs to keep its promise now that it’s agreed upon by both parties. Journalists should “be cautious when making promises, but keep the promises they make,” according to the Society’s Code. Andrew M. Seaman is the Society of Professional Journalists’ ethics committee chairperson. Is It Ethical to Interview People Who Cause Harm? Screenshot of Megyn Kelly’s Twitter feed. People are calling on NBC to forgo showing an upcoming interview between its journalist and a well-known conspiracy theorist. 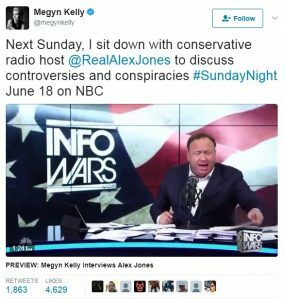 Megyn Kelly posted a teaser on Twitter Sunday night to promote her upcoming interview with Alex Jones, a well-known conspiracy theorist. The brief video caused an immediate backlash with people calling on NBC to forgo airing the interview on Sunday. Foremost among people’s concerns is that Jones will get airtime on NBC after his website InfoWars pushed untrue and harmful conspiracy theories that claimed the 2012 Sandy Hook Elementary School shooting that resulted in 26 deaths was a hoax. Part of the video shows Kelly in conversation with Jones. He first says the September 11, 2001 attacks were an “inside job.” Kelly then prompts him with the words, “Sandy Hook.” The answer Jones provides is as nonsensical as the stories found on his website. The Society of Professional Journalists is often asked whether certain people or subjects should be avoided due to past harmful actions or the immense emotions they cause. The answer – like most – is more complex than just yes or no. Journalism that focuses on controversial topics and figures is not inherently unethical. Journalists around the world dissect and analyze these types of topics each day in front of readers, viewers and listeners. What matters most is how the stories are reported. At this point, people don’t have enough information to know how Kelly’s interview with Jones ultimately transpired beyond the few seconds published online. For example, people may feel differently about the interview if Kelly aggressively challenges Jones about his words and confronts him with the unnecessary pain and torment he helped unleash upon grieving families. On the other hand, people’s concerns may be justified if Kelly’s interview proceeds as a simple back and forth conversation. In his nightly newsletter, CNN’s Brian Stelter included quotes from an interview between his colleague Dylan Byers and Liz Cole, who is executive producer of Sunday Night with Megyn Kelly. Society should not get into the habit of forcing journalists to shy away from harmful, painful or emotional subjects. Instead, it should push journalists to uphold their profession’s abiding principles and show people what is fact and what is fiction. If nothing else, the public outcry over the upcoming interview sends a very loud and clear message to NBC and Kelly that they must be conducted with extreme care and awareness of the subject’s complexity. People will learn on Sunday night whether NBC and Kelly got the message. 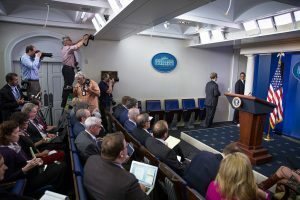 Journalists must be a source of confidence in the United States as allegations are made at the top levels of government. The press should always be accurate and fair in its work, but certain moments in history require journalists to be beyond meticulous while reporting, composing and disseminating their stories. The United States is now in one of those moments. President Donald Trump removed James Comey as director of the FBI on Tuesday. Senate Minority Leader Chuck Schumer of New York said later that night that Americans may believe “the decision to fire Director Comey was part of a cover up” if a special prosecutor is not appointed to carry on the FBI’s investigation into Trump’s associates. To put it plainly: One of the nation’s most senior lawmakers says people are right to suspect the U.S. president fired the director of the FBI to impede an investigation. Rarely is such a serious accusation thrown around among the nation’s leaders. The press needs to serve two purposes during these moments. Journalists must use their tools and knowledge to find the truth and report it. They must also inform the public about the actions of government officials. While fulfilling these purposes, news organizations and journalists must convey to the public that they understand the seriousness of the circumstances and will work to get the truth. The public also needs to know they can turn to journalists and news organizations for accurate and up-to-date information about their elected leaders and government. In these moments, journalists and news organizations may want to be direct with their readers, viewers and listeners about their mission. Editor’s notes and brief statements during broadcasts can get those messages across. Words without actions are meaningless, of course. The press needs to follow through on these assurances by paying attention to details, being more cautious with words, thinking twice before sending out social media posts, reminding themselves of the Society of Professional Journalists‘ Code of Ethics and adhering to time-tested editorial processes that ensure accuracy and fairness. Mistakes are bound to happen, but the press must do its best to correct errors as quickly as possible and prevent irresponsible journalism from making its way to print or broadcast. Good journalism tells the story. Bad journalism becomes the story. The public deserves and expects journalists to find and report the answers to these serious questions – no matter where they lead. 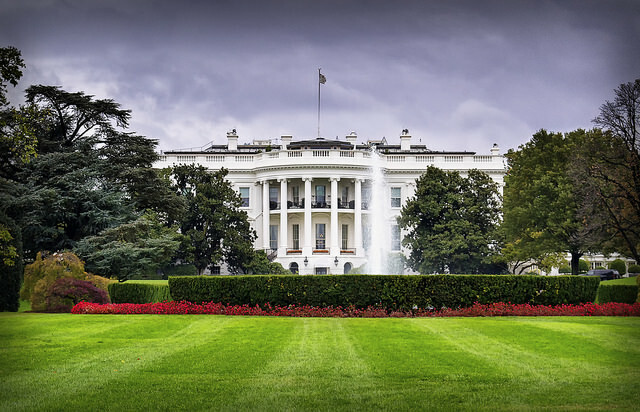 Three quarters of adults in the U.S. last year believed news organizations keep political leaders from doing things that shouldn’t be done, according to the Pew Research Center. More than ever, the press can’t let the public down. Ethics Week focused a lot on trying to engage journalists and the public in discussions about the press. An important part of that outreach must also include the public’s elected representatives. The attacks and vague answers regarding the press from politicians and government officials not only makes journalists uneasy, but threatens one of the foundational elements of democracy. A dialogue is needed between the press and lawmakers as much as one is needed between journalists and the public. 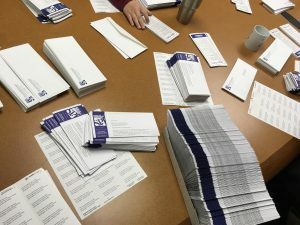 The Society of Professional Journalists is using Ethics Week to begin that conversation with lawmakers in the United States by sending a letter to every member of the Senate and House of Representatives. Enclosed in each letter will be a copy of SPJ’s Code of Ethics. 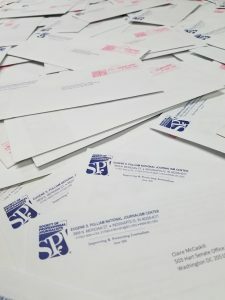 The letter introduces SPJ to the lawmakers and explains the organization’s role in setting the profession’s best practices. There is also an invitation to meet with SPJ in June, when many of the organization’s leaders will be in Washington, D.C. for the annual Sigma Delta Chi Awards dinner. SPJ is no novice when it comes to interacting with lawmakers. The organization often works alone or in concert with other groups to push for open government initiatives and improved access. In fact, SPJ closely worked with then-Representative Mike Pence in the early 2000s to implement a federal shield law that would protect journalists from prosecution. Unfortunately, those efforts fell short. 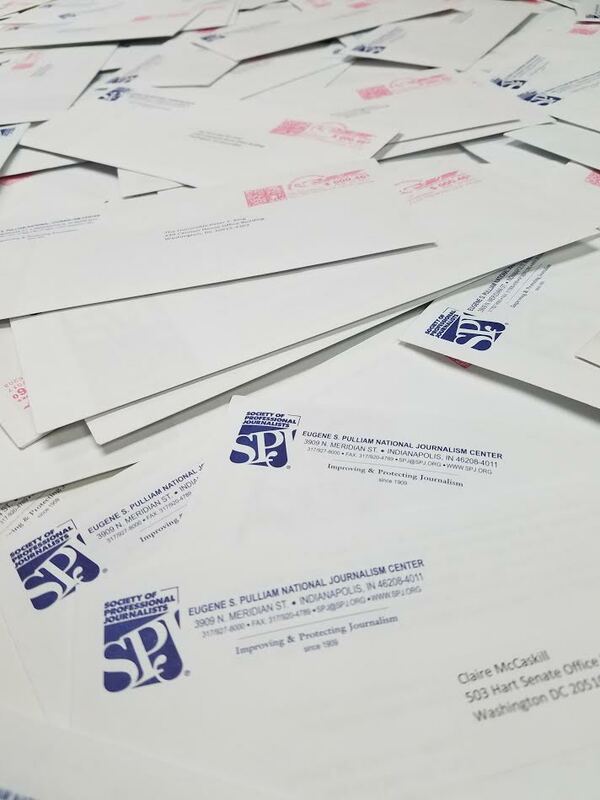 During Ethics Week, SPJ feels it’s important to show lawmakers that there is more to journalism than government and access issues. After all, ethics is often not about what is legal; it’s about what is right. offenders accountable for their actions. The public benefits from an environment that allows and encourages journalists to provide in-depth and ethical journalism. If lawmakers care about their constituents, they should also care about the health of the press and work to foster an environment of openness as envisioned by the country’s founders. The press belongs to everyone, and it’s up to everyone to take care of the press. You can help this effort by encouraging your representative and senators to engage with SPJ and learn about the press, the organization’s Code of Ethics and the importance of open government. Pretend for a moment that a building inspector is assigned to inspect a building. He tells the facility’s management. The very helpful building manager escorts him into one room that has been carefully arranged beforehand. The manager stays with the inspector as he inspects that pre-arranged room. Then he escorts him out of the facility. They part on great terms and the inspector writes a report accurately describing what he has seen. But, as is customary, he says nothing about being blocked from seeing any other part of the facility or about the manager escorting him at every step. What do you call that, other than astounding? Can it be anything but corruption? Doesn’t it go beyond being horribly dangerous to all but ensuring public harm? But aren’t those controls parallel to what journalists do when they always or almost always go through public information officers or other management to get a comment or interview someone, whether at a government office, a business, nonprofit or other entity? And don’t those similarities hold true whether journalists do it voluntarily or involuntarily? What about all those other “rooms” — or the people who are prohibited from talking or prohibited from talking without PIO oversight? Don’t such controls almost guarantee the story will be skewed (or partially skewed) in the way management wishes? What would members of the public think if they understood how such journalistic “inspections” work? And then, when the building later burns down due to faulty wiring –or, say, the Veterans’ Administration is found to have all kinds of problems–aren’t those highly controlled “inspections,” by an inspector or journalist, a basic and foreseeable part of the dysfunction? Aren’t journalists arbitrarily waiving the public’s right to understand how government and other institutions are working? The Society of Professional Journalists has taken an historic step over the last several years in leading other journalism groups in saying these controls through public information officers or others are wrong and dangerous. It may be time to look closely at what working under these restrictions does to the ethics of journalism itself. The SPJ Code of Ethics says journalists should, “Take responsibility for the accuracy of their work.” Reporting that’s accurate but misleading due to the controls of the powerful represents poor accuracy indeed. The code also says, “Verify information before releasing it.” Please take it from some veteran reporters: when staff people can’t talk without the oversight done for the bosses, some among them might very well be able to blow your story out of the water. 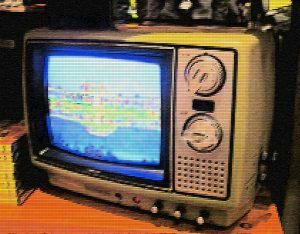 Indeed, the best guess is always that if you were able to talk to several people fluidly, without the controls, the story would be different and better. The SPJ code says, “Avoid conflicts of interest, real or perceived.” But the PIO controls are constructed of conflicts of interest. People in management who want to maintain a good image, their jobs and their agenda use the PIO controls to manage what the public is allowed to hear. Reporters are conflicted by the fact they can have their access cut off if they don’t submit to the controls or they otherwise do or write the wrong thing. How could people not perceive conflict of interest, if we told them about the controls? Actually, the process would look to many people like public relations being sold as journalism. One thing to consider there is that we can’t do anything about them probably because journalists keep saying we can’t do anything about them. But more basically: what kind of journalistic ethics is that? Massive systems are constructed to control what the public hears—a hazard to the public, one might say—and journalists decide it’s best not to talk about it? The second reason journalists give for not fighting these controls is that “good” reporters get the story anyway. Notice, first off, that it is just not happening very often. Many stories are initiated by the offices or agencies themselves and there is little more in the news coverage than what the officials say and (maybe) some outside opinion. How is it possible there is nothing happening other what the centers of power announce? But also, how can journalists ethically assume they have the whole story when millions of people are specifically silenced? Those many, many closed doors behind PIO controls are in government, schools, universities, police forces and elsewhere, across the culture, as we know from surveys sponsored by SPJ and done by Carolyn Carlson for Kennesaw State University. They regularly conceal much education and perspective that journalists need. But given the vast numbers of those doors, some of them also hide some of the most astoundingly evil things in our society. Think, for instance, about the institutions that hid child abuse for years and, then, about the rules against school personnel talking to reporters. Kathryn Foxhall is a member of the Society of Professional Journalists’ Freedom of Information Committee. Code Words is part of the Society of Professional Journalists Blogs Network. Visit spj.org to learn more about the Society, its missions and programs, and how you can become a member.